The debate between Plasma TV’s and LED TV’s has been going on for a long time and with the advent of 3D, it has only intensified. LED TV’s are actually LCD TV’s with LED backlighting and LCD (Liquid Crystal Display) is when liquid crystals are pressed between two sheets of glass and electrically charge to produce colored pixels and the light source is separate. Plasma displays utilize gas cells to produce light emitting phosphorescent plasma cells to create lit up pixels. Both have their pros and cons in key areas like refresh rate, viewing angle and brightness. This is very important for 3D content because lower refresh rates can mean ghosting of fast moving imagery, which in turn will lower the over all quality of the 3D image. Whilst LCD manufacturers have been claiming to be making panels with refresh rates as fast as 480Hz (average is around 90-120Hz), the truth is that LCD as a technology has its limitations when it comes to refresh rates. Even though this is being improved with every new generation, true 480Hz or even 240Hz has not been achieved at all. The numbers advertised are made through mathematical trickery. Plasma pixels on the other hand refresh almost instantaneously and hence have much better refresh rates than LCD screens. In this area, Plasma screens have a clear advantage. If you have a lot of people around your 3DTV, the viewing angle becomes really important. Since Plasma pixels produce their own light that is naturally projected in every direction, Plasma screens have really good viewing angles and are usually better at it than LCD screens. LCD screens depend on backlighting as the light source and this light is usually projected perpendicular to the screen plane. 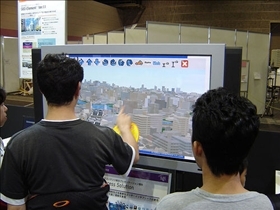 Even though modern screens have diffusion techniques applied to them for better viewing angles, LCD’s are still at a disadvantage in this area. And for 3D content, it is very important to have high clarity to get the full 3D effect. Due to the fact that LCD pixels are backlit, there’s always an amount of light bleed that prevents it from displaying true blacks. This is not an issue with Plasma screens and hence the black details and contrast ratio is much higher in them. Here’s where the tables turn completely. Since LCD screens have a separate light source, the newer LED backlit LCD TV’s have really high brightness ratings. Plasma screens on the other hand have self-lit pixels, so it is hard for them to increase their brightness. Since 3D content requires either Active or Passive glasses, there is always a loss of light intensity, making it necessary for 3D TV’s to be brighter than normal screens. This is something LED 3D TV’s do very well. When it comes to viewing angles, Plasma screens are usually better than LCD ones. LED TV’s are usually brighter than Plasmas. When it comes to refresh rates, Plasma 3D TV’s are clear winners. Plasma 3D TV’s have better black details and contrast ratios than LCD TV’s. Which 3D TV has deeper dark tones? I think plasma is the most adaptable TV content using 3D technology. The quality varies widely in different brands and models of various brands of quality. But the size of the plasma can nod. What are my best bet "future proof" plasma or led?